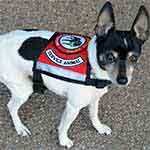 Our 6-foot red service dog leash lets everyone know your service dog is "at work" - and from more than 20-feet away. 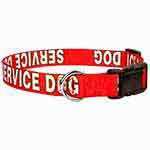 USA-made, using a sublimation process for the white letters on our service dog leash, unlike "screen-printed" leashes, our lettering is fade resistant and won't wear, peel, or crack. 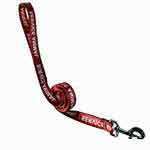 This leash is designed to last even longer than you'll need it! 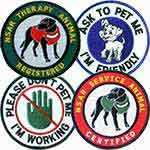 Guaranteed for a lifetime! 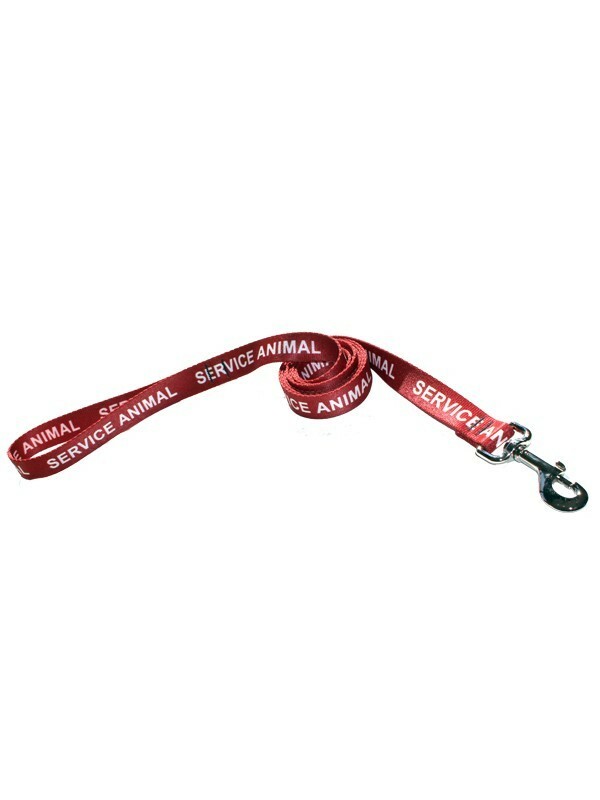 Eliminate confusion and confrontation when you're with your service dog by using our or high quality sublimated service dog leash. 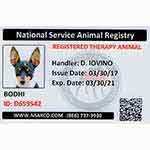 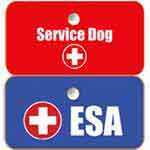 Help the public immediately recognize your dog's service status.